All the yacht you want. All the time you need. 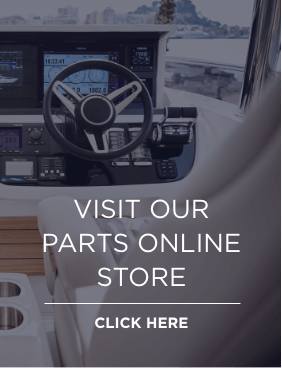 Established in 1964, Princess Motor Yacht Sales is globally recognised as the largest and most experienced Princess Yachts dealer and distributor. In partnership with Princess Yachts Limited we currently offer the most highly developed, sophisticated and luxurious range of world class motor yachts. This includes the breathtaking Princess F Class with spacious cockpits, exceptionally luxurious saloons and outstanding spacious cabin designs. These beautiful yachts provide phenomenal pleasure, both at sea and in port. The Princess M Class series offers a high level of individualisation alongside superb design and performance in vessels which are over 100 feet, whilst the Y Class provides luxury and sublime speed and handling combined. Our S Class craft provides everything needed for thrilling watersports along with truly luxurious, spacious interiors, ideal for entertaining. And our V Class Yachts offer an uncommon combination of phenomenal luxury with astonishing performance. Introduced at Cannes Yachting Festival in 2019, the revolutionary R Class presents a new class of yacht. Provocative, cutting-edge and exhilarating, the Princess R35 pushes the boundaries of Princess yacht design, reaching speeds of up to 45-50 knots. Partnered with BAR Technologies and Pininfarina, this craft boasts the very latest in advanced naval technology within a striking design. Our clients love being able to relax in the knowledge and confidence that their vessel is supported by unrivalled aftersales service around the globe. We are totally committed to providing the best possible level of service and support to Princess yacht owners, wherever they may be. Our technicians are both trained and directly employed by us which makes them reliable experts who can quickly resolve any issues or enquiries. And our many years of experience mean that we understand how important it is for you to be able to contact help whenever and wherever you need it, which is why we provide an out of hours adviceline staffed by experienced Princess engineers. No matter what time of day, what day of the year or where you might be, a Princess trained engineer is ready to answer your call and provide you with complete peace of mind.